Tondela and Aves meet on Matchday 19 of the NOS League, Monday, starting at 19:00, at the João Cardoso Stadium. The Tondela arrives at this round in the 12th place, with 19 points, four more than the Avengers, who occupy the 16th place in the league table. The edges come from two games without being able to win, the two away from home, in the lands of Chaves (2-1) and Belenenses (2-2). But at home Pepa’s side won four of their last five games and lost only one, with Sporting de Braga, for a free-kick. 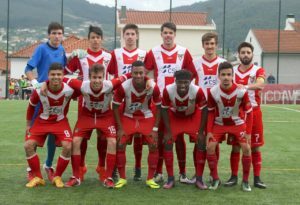 Aves have beaten Vitória de Setúbal in the last round 2-1 at home in a meeting that marked the debut of Augusto Inácio in the northern bank. Playing away from home, the Avengers are the worst team in the competition, with seven defeats and only one win in eight games so far. 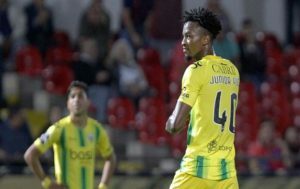 This will be the 12th game between the two teams in their history, and the balance is slightly favorable to the Avengers: five wins against four of Tondela. Who will take the best this time? In four of the last five games played by Tondela in his stadium there were more than 2.5 goals. In three of the last five games of the Poultry away from home there were more than 2.5 goals. The Aves is the league’s second worst defense with 32 goals conceded. In four of the five clashes between the two teams in Tondela there were over 2.5 goals. Tondela wants to return to the triumphs and it is when he plays before his audience that he feels more comfortable. Meanwhile, the Aves, worse team as a visitor, seeks to add their second successive triumph, in order to escape to the last places of the classification.